All of the Visual Listening Guides that are available for purchase in the SHOP are also available to organizations for instructional use, reproduction as publications, or in other formats as discussed. The specific use and form of dissemination (e.g. printed brochures distributed over a certain number of concerts, a digital download made available for a specific period of time, etc.) will determine the licensing fee. Please send your request using the CONTACT form to obtain a quote. If you are purchasing a Guide for instructional purposes, you must follow “fair-dealing” or “fair-use” guidelines when using it—see HERE to determine what is “fair use”. If you would like to reproduce the Guides beyond the parameters of “fair use”, please send your inquiry via the CONTACT form to discuss an appropriate licensing fee. Detail from the Finnish-language version of the Beethoven Symphony No. 3 Visual listening Guide. First created for Lahti Symphony Orchestra. The Visual Listening Guide is produced in English but can be translated into other languages. If you and your organization would like a version of an existing Guide in a language other than English, please send your request via the CONTACT form. In most instances, the organization provides the translation and would also be responsible for covering the fee of the graphic designer who would insert the translation. This fee would be in addition to the licensing fee. As other-language versions of the Visual Listening Guide are created, they will become available for licensing. Please check the SHOP or subscribe to Symphony Graphique below to keep informed of new products. 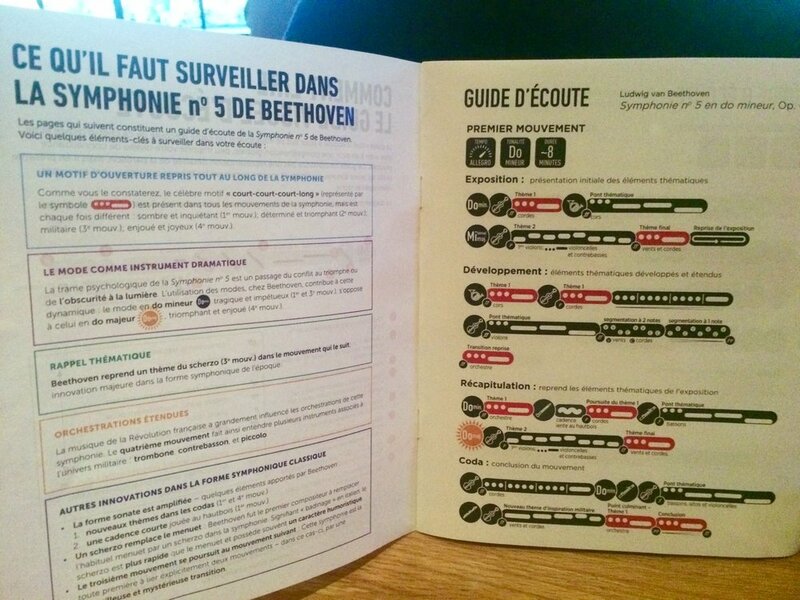 French-language version of the Beethoven Symphony No. 5 Visual Listening Guide with custom “What to Listen for in Beethoven’s Fifth Symphony” page. First created for the National Arts Centre Orchestra. 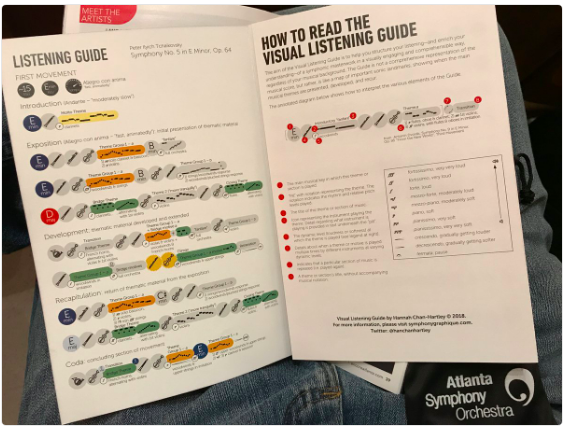 In addition to language, any of the Visual Listening Guides can be “customized” with extra content such as annotations, an accompanying programme note, a “what to listen for” summary…and numerous other options! Please send your inquiry via the CONTACT form to discuss. Commissions are welcome! Please send a message using the CONTACT form if you are interested in commissioning a new Visual Listening Guide.